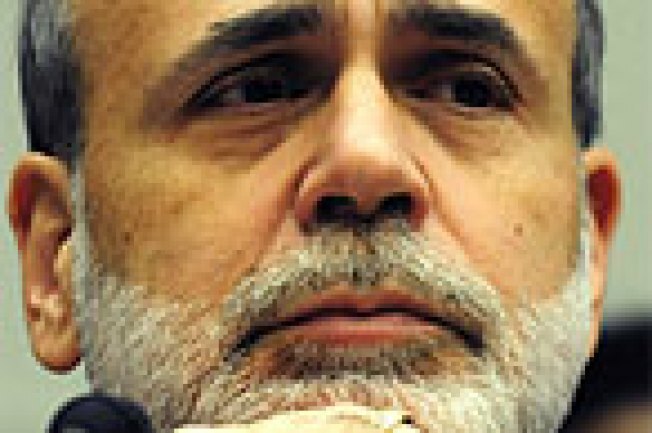 Fed Chairman Ben Bernanke is stumped over how to get the economy going again. The economy is still growing, but just barely. The latest wave of downbeat economic data, including Friday’s report on gross domestic product, have renewed fears that we could be headed for the second half of a “double dip” recession. It is even possible that the apparent economic recovery is a mirage, and that the recession that began in December 2007 never really ended. Increasingly it seems that the unprecedented measures taken in 2008 and 2009 to revive the economy are not working because the recession is unlike any this country has seen in the past 60 years. “After all the monetary, fiscal and bailout stimulus, the economy should be roaring ahead, as would be the case if the economy were coming out of a normal garden-variety recession,” Gluskin Sheff chief economist David Rosenberg wrote in a recent note to clients. “The fact that there has been no sustained response to all these efforts by the government to turn things around is testament to the view that this is not actually a traditional recession at all." The jolt of cash flowing through the system produced a surge of growth late last year that carried into 2010. That growth spurt prompted many economists, investors and policymakers to declare that a recovery was under way. But a recent string of gloomy economic data has prompted second thoughts about the nature of this recovery. The latest read on the nation’s gross domestic product was revised sharply lower Friday. The government's GDP data showed an anemic growth rate on 1.6 percent, from an initial reading of 2.4 percent. Home sales fell last month to some of the lowest levels on record after government tax credits boosted sales in the spring. Business orders for capital goods like machinery and computers fell sharply last month. Forecasters expect next week's monthly employment report to show continued weakness in the job market. For now, many forecasters still believe the recovery is intact and expect modest growth to continue into next year. Bank of America chief economist Mickey Levy is among those who thinks the current “soft patch” is only temporary. “I think the soft patch is similar to every other soft patch in every prior expansion,” he said. “I think the probability of (a new) recession remains pretty low." The official arbiter of U.S. economic cycles, the National Bureau of Economic Research, has yet to declare an end date to the recession that began in December 2007. According to one commonly cited rule of thumb, two consecutive quarters of growth mark the end of a downturn. There are other reasons to suggest that this recovery may not be like any since World War II because the causes of this recession were different — both in the nature and scope of the contraction. Other postwar recessions typically were characterized by drops in demand. In time, lower consumption created pent-up demand which brought higher levels of output, increased hiring and an upward cycle of growth. The current recovery has been marked by an unusually weak pickup in demand. And the latest GDP data show that pickup is fading. Some analysts argue that this recession is not responding to massive government stimulus because the underlying economy has sustained much greater damage than in past downturns, especially because of the housing bust. Since peaking in the third quarter of 2007, the value of household assets — including homes, as retirement funds, savings accounts, etc. — has shrunk by $11.4 trillion, according to the Federal Reserve. Commercial banks have written off roughly $350 billion, according to the FDIC. Federal government deficits have swollen to historic levels; state governments are scrambling to come up with over $100 billion to cover budget shortfalls. Consumer spending, which has typically led recessions to recovery, has been further dampened by the persistently high unemployment rate. Additional aid to states might help blunt the impact of those cuts, but that seems unlikely in the near term as Congress faces angry voters in an off-year election. With interest rates already near zero, Fed policymakers are considering additional measures to push more money into the economy to spur lending. But with $1 trillion in bank reserves sitting in the Fed’s vaults, lenders aren’t short on cash. That could leave the central bank in a “liquidity trap,” said Mohamed El-Erian, CEO of PIMCO, the world's largest bond investor. “A liquidity trap it's basically when you try to push people to take more risks; you try to push banks to lend more; you try to push companies to to invest more and and they tell you no thank you,” he said. “So you're pushing on a string. Monetary policy can no longer force people to do things." Fed officials meeting Friday in Jackson Hole, Wyo., will be discussing a variety of possible solutions, but they are unlikely to make any decisions. “Our goal here has been to bring policy issues forward that are broader in context than the immediate events, and the chairman has generally spoken at that level,” Kansas City Fed President Thomas Hoenig told CNBC. “It’s not a place for policy decisions or discussion. That’s done in a different context in Washington or in the regions."